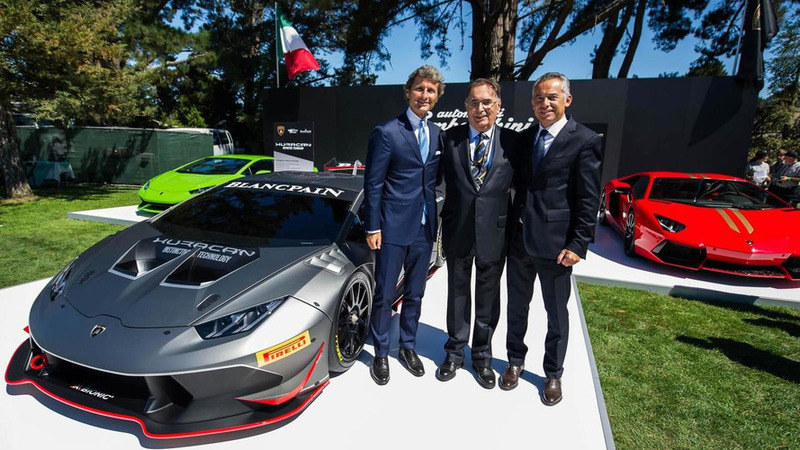 Lamborghini has unveiled the Huracan LP 620-2 Super Trofeo at this year's edition of "The Quail, A Motorsport Gathering." Lamborghini has unveiled the Huracan LP 620-2 Super Trofeo at this year’s edition of "The Quail, A Motorsport Gathering." The track-only Huracan was developed in collaboration with Dallara Engineering with direct input from Gian Paolo Dallara who also was involved in Miura's development. The vehicle has received a more aerodynamic wide body featuring adjustable front air intakes, front & rear diffusers as well as a rear wing featuring no less than ten positions. Pirelli was in charge of creating a special set of tires designed specifically for the Huracan Super Trofeo. Compared to the road going car, the naturally-aspirated 5.2-liter V10 engine delivers an extra 10 PS (7.3 kW) at 620 PS (456 kW) sent to the rear axle. Thanks to a number of weight saving measures, Lamborghini was able to shave off 151 kg (332 lbs) so the Huracan Super Trofeo now tips the scales at 1,271 kg (2,800 lbs) and has a weight/power ratio of 4.5 lbs/PS. 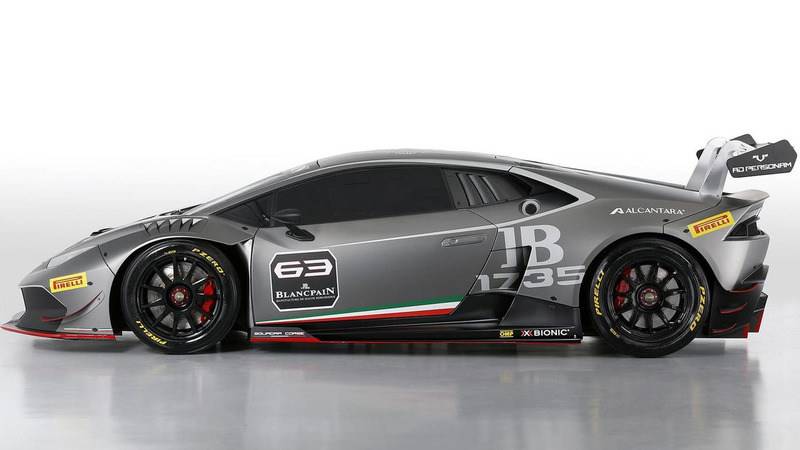 The vehicle will take part in next year's Blancpain Super Trofeo series but it will not compete in the same class as its predecessor, the Gallardo LP 570-4 Super Trofeo.